I’ve been an admirer of JoAnn Hines aka Packaging Diva’s Pinterest account for some time. Not necessarily because I am a lover of packaging (although I do admire the quirky, funny and beautiful examples) but also because her Pinterest account is very focused, very beautiful and she manages her shared boards on Pinterest extremely well. As with all social media platforms, Pinterest takes time and energy to do well (of course, it is fun too!) and JoAnn’s contributor boards are a fine example of how one can use shared boards to grow your Pinterest presence and your profile. I was delighted when she agreed to be interviewed. 1. JoAnn – what is your occupation? I’m a packaging consultant by trade. That means helping people understand how critical the right packaging is as to whether a product will sell or not. Most recently I help clients build their packaging brands using social media. I have the most well recognized brand in social media for packaging. 2. 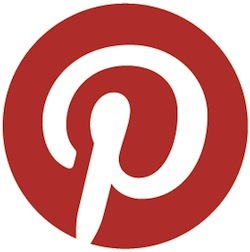 How has pinterest helped your business to grow? Clients find me because of my strong Pinterest presence. I’ve worked actively to be the “go to “person for packaging design inspiration and the latest trends and innovations. I get a lot of media interviews because my boards are so targeted. Most recently I was interviewed by Bloomberg for business week because of my “edible” packaging board for a story they were developing on eco- friendly packaging design. 3. I notice you have a significant number of group boards which are extremely active – both in terms of contributors and the number of pins. First of all, why is packaging such a huge topic? Packaging is actually one of the largest industries in the US. If you think about it virtually every product you buy is in a package. When people don’t quite understand I use this example. Did you brush your teeth today? Of course they always say yes, then I ask them how do they think they got toothpaste in a tube ready to brush? That’s how ordinary packaging is and a business no one ever considers as important. It contributes a trillion dollars to our economy and employs over a million people. I could pin thousands of packages but I pin what’s beautiful, unique, clever, funny or trendsetting for any type packaging. My boards are very focused. For example, if you wanted to learn what are the newest trends and designs in any type of packaging you can see a progression of images in my personal boards. 4. How did you get so many to contribute to your group board? Did they contact you? To make a great group board you need people of like minds. I have a process I follow regarding invitees. First they need to be heavily vested in packaging. I look at their boards and see what they are pinning. If their content include fabulous design examples of packaging and they are actively pinning regularly, I’ll consider them as a potential member. I don’t automatically invite someone. I wait to see if they have staying power and are active. I get requests for invitations and I use the same process. It’s not about the numbers. It is about the quality of the pins and pinners. The secret is not to monopolize the board but allow other pinners to shine with their own inspiration. That makes a well rounded board one people want to follow and participate in. I also get a lot of traction on Twitter where people regularly tweet the group board pins. Invitation requests come through Twitter and I use the same process. It’s not about quantity but quality. 5. Do you moderate the board regularly and remove any irrelevant or spam pins or contributers? I do moderate the board as well as engage in ongoing conversations. I find that keeps our followers inspired. I have certain guidelines and sometimes remove a pin if it doesn’t meet the board criteria. I make a comment first about the pin and a friendly tone and if that doesn’t work I’ll delete it. I’ve never had to remove a contributor yet. Sometimes they leave on their own. My board is very active with 1,000 pins a week and hundreds of repins daily. It’s too much for some people although I’ve never understood why. The people leaving have low trafficked boards with minimal followers and we have a very focused engaged audience. 6. 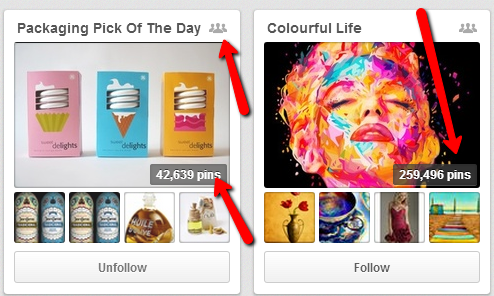 I’ve found that pinning an image to a group board results in more repins and click throughs. Have you found the same? I’ve actually tested this premise. The group board gets more repins per image because it’s so popular. I’ve tested pinned my boards first vs the group board and the pins on the group board are always more popular even though personally I have more followers than my group board. So many people follow me that before I can get a pin on the group board someone has repinned it so now I always pin to my group board first. I pin certain times of the day when I know the board is active then at the end of the day I repin appropriate content to my personal boards. 7. I’m amused to hear someone can beat you in repinning in your pin – that just shows the popularity, the quality and perhaps the competitiveness! Are you the ‘owner’ of the group boards on your account or are some of the started by others? I have a couple of group boards where I am the owner. I also belong to several group boards in which I participate. I am frequently asked to join boards. I’m very selective about the ones I choose to join that they have to make sense to my core business. The more popular your board the more you get asked to join others and you can’t do them all. There are also boards that are competitive to mine where I’ll be asked to pin. Generally I don’t join since most of the stuff pinned comes from my boards anyway. I do send the inviter a note if the have contact info thanking them but declining because I have to spend the time on my own boards. 8. What do you think are the benefits of group boards for businesses? The boards offer such a variety of perspectives for a particular topic. You get to meet people you would never have an opportunity to engage with on a global scale. You can build your own unique community with influencers that have something credible to share. You can build your brand recognition too by participating on other boards. The key is consistency so people will begin to recognize you as an expert and follow you. You can also interact with established brands by commenting where it makes sense. Don’t say something inane just to be on the board. It hurts more than it helps. 9. 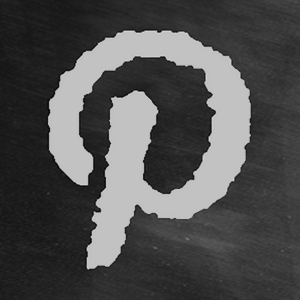 Have you any additional tips to offer to businesses starting out on Pinterest? Make your boards unique to your personality and business. Stay focused, very focused. It’s so easy to get lost in the Pinterest world because there’s so many great pins and tangents to follow. Figure out where you want to be positioned that’s unique and different. Be diligent about your pinning and keep it on point. Spend time naming your boards so that people can find you. The shorter the name the better for search purposes. Don’t get the names too “niche” or you will overlook myriads of potential followers. 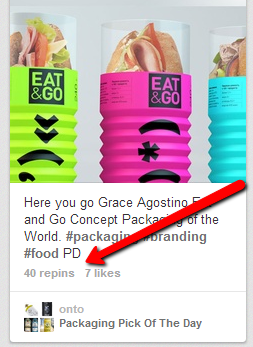 Also try to capture the trends like I did with “edible” packaging. If it’s in the news and you can make it work for your business then create a board to capture it. Since pinning and researching is time consuming I usually watch TV and work “background” Pinterest at the same time. I save the boards I want to look at so I can review them for future members and material. Lastly it doesn’t happen overnight. I’ve been active over a year but now my boards and popularity are well established. I built my boards slowly as I uncover topics of interest to my community. There are so many tips in those answers, I think I will summarise them here. 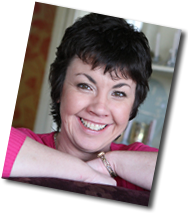 JoAnn has really raised her profile globally as a packaging consultant via her social media presence. We could all do the same for our businesses if we take similar steps. Group boards usually result in more repins and click throughs so they are worth joining and doing well. 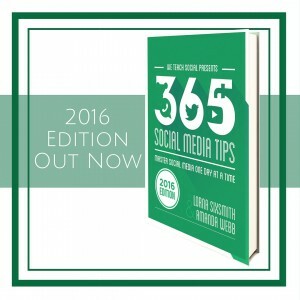 Ensure your pinning content is focused, particularly in contributor boards. Only pin images of very good quality. Only invite pinners who are active and you pin quality content. Monitor the content of the board if you have created it – this prevents spam and keeps other pinners focused. Don’t monopolize your own group board, pin regularly but give others a chance. Don’t agree to contribute to every group board (whether they are relevant to you or not) – be choosy and it will reflect in your boards. Remember to use the commenting facility and engage in conversation with the other contributors. If you are wondering how to contact the moderator of a group board, people use twitter to connect too. Remember social media isn’t a silver bullet, it takes time. Yet it will reap rewards. Do follow JoAnn / Packaging Diva if you wish to learn more about packaging, branding, marketing and of course, how to use Pinterest efficiently. 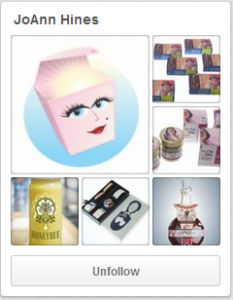 You can follow @packagingdiva on twitter too. We offer online courses in Pinterest too (beginners and advanced) – do check out our courses at We Teach Social for the next available dates. Great info! Visiting from Delia’s BlogFormatting Blog Commenting Weekend! I am a member of a couple group boards and I never thought of any of it like this. This was definitely eye opening! Pinterest has been on my “to do” list for a while. After reading your interview with JoAnn Hines, I have no excuse to keep postponing it You asked key questions I believe many others like me have in their minds too, such as “How does Pinterest help a business grow?” and “How to get people to contribute?” At a meeting last week I heard the common comment that Pinterest is just to post recipes I can see now how there is more to it and the benefits of spending time to promote our activities through Pinterest. A valuable post indeed! Wow, tons of great information about Pinterest, Lorna! I just started my presence there and do not expect results overnight but I am really happy to see that it works for businesses that take the time to be consistent. Great tips! I might add to check your own pins periodically to make sure that links have not expired! Great Site with very informative information!